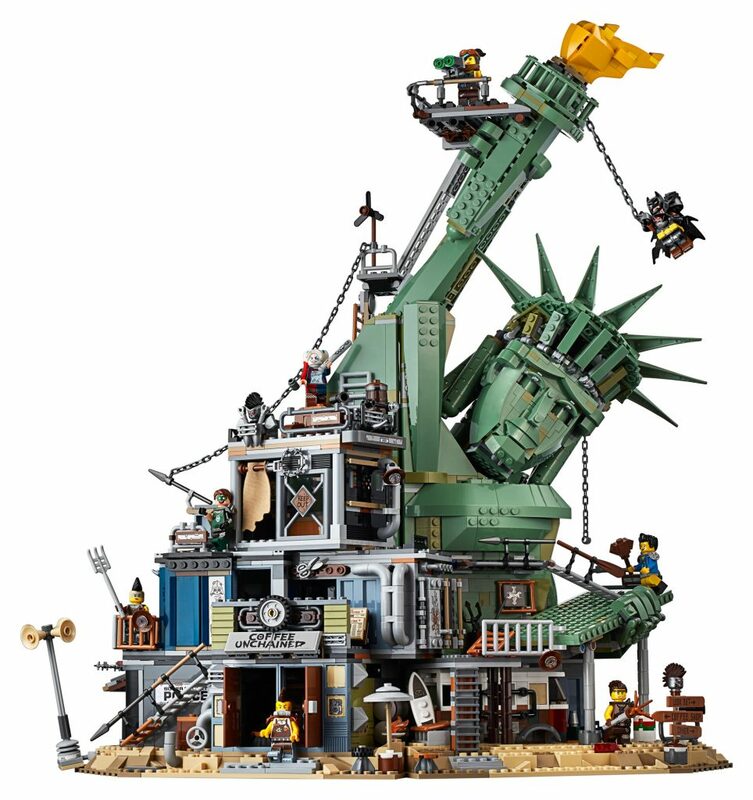 LEGO® announced the Welcome to Apocalypseburg! from The LEGO® Movie 2 today, and I’ve spent some time looking at the photos posted and wanted to share my initial thoughts on this set. This is all based on pictures, and nothing hands on. Truth is, I’m not sure if this is one I would add to my collection, but it certainly is intriguing! First, the build. There appears to be a lot of great techniques used, and a few sections that might be challenging to put together. There is a reason why this is an age 16+ set. There are quite a few small pieces, which is normal on a highly detailed set like this, but it’s not as redundant as on some of the modular buildings. I’d like to build this one, just so I can see how things are done! As far as the actual build process, this should be a fun set to put together. Now the play factor. LEGO® has designed this so there is action on all sides. It really gives quite a bit of things to do, and as a big kid, I can see setting up all sorts of scenarios for the minifigures to play out. There is a Coffee shop, a diner, a lookout, tattoo parlor, a workshop, and more! Plus, there are removable modules for easy access to play areas. There is a lot going on, and should provide plenty of play time. In any set this size, you’re going to get some great parts with it. Based on what I am seeing, this is no different. There are lots of different elements to make up this post apocalyptic world. This lends to a unique blend of parts that tend to show up in different themes across the LEGO® spectrum. This isn’t a surprise, given the first LEGO® Movie contained scenes from a bunch of different themes. The minifigs is where things get really interesting. There are 12 new minifigures in this set. We’ve seen most, if not all, of this characters already, but now they are shown in a new light. These characters have been to war, and it shows. They have had to harden themselves and be ready for battle. These minifigures look great, great accessories, and they would also work well in other builds. The value on this set mostly comes from the parts and minifigure aspect. 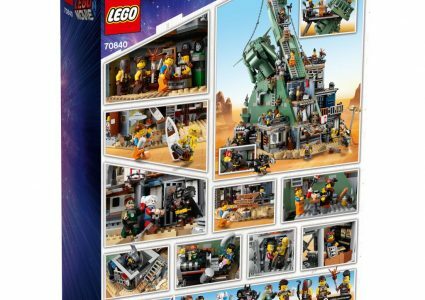 Based on the pictures, LEGO® has once again included stickers. I would hope that a $299 set would be excluded from this, but LEGO® has once again chosen the sticker route. I understand that this is the less expensive way to go, especially when the overall sales on this set will be much lower compared to other sets, but it just feels cheap when you look at this as a premium product. Overall, I do like this set. To me it has the look of the Spaceballs (The Movie) Planet of the Apes scene meets Mad Max. It’s rugged and cool, but lots of fun elements to it. 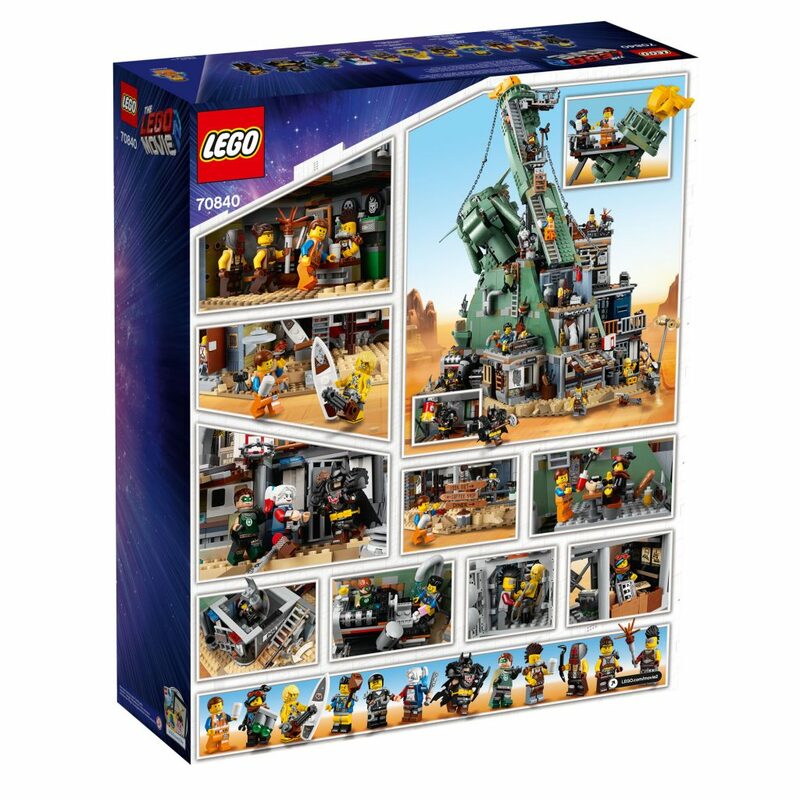 If there was a downside, I would say that it doesn’t really fit with the modular buildings, and would look best if it was displayed away from other sets. When space is at a premium, is this one you’d want on your shelves? 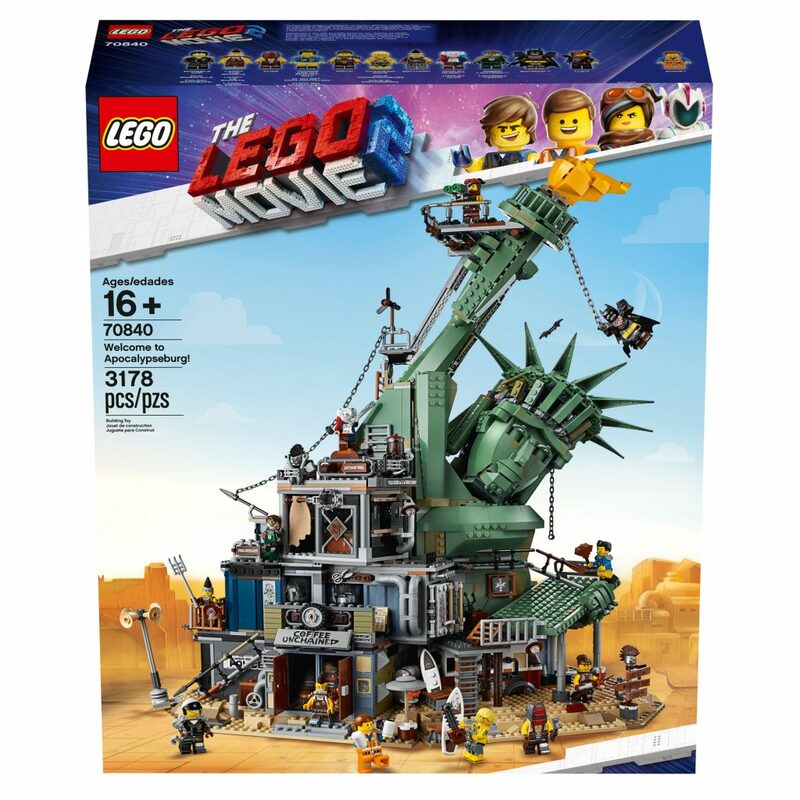 I say yes, if nothing more than to make Emmet hang out of Lady Liberty’s nose! Enjoy an epic 360-degree play experience—and prepare for an alien invasion—with THE LEGO MOVIE 2 70840 Welcome to Apocalypseburg! construction toy. 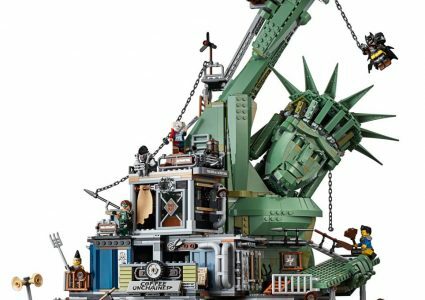 An advanced building set, it has over 3,000 pieces and presents an awesome challenge even for master builders. 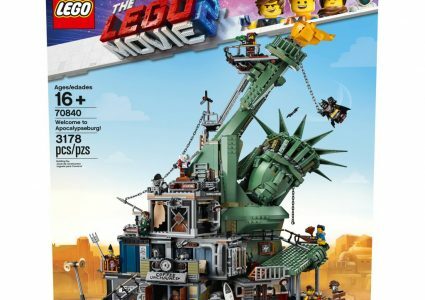 This THE LEGO MOVIE 2 set features a section of the Statue of Liberty with a chill-out room in the head, café, Scribble Cop’s office with a chair-kicking function, armory, barber’s/tattoo parlor, Lucy’s hideout, Fuse’s workshop, rooftop diner, gym, spa, lookout platforms and loads more! 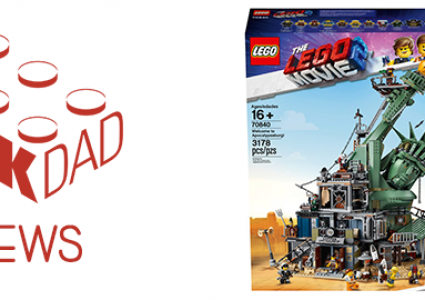 This action-packed toy also comes with 12 THE LEGO MOVIE 2 minifigures to role-play and reimagine your favorite scenes from the blockbuster film.